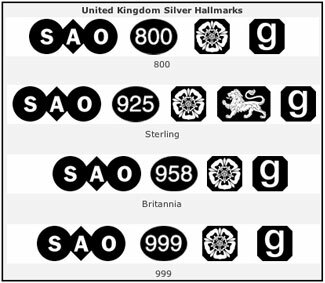 A hallmark is an official stamp marked on gold to indicate its quality, origin and maker. The term refers to the Goldsmiths Hall in London and which has overseen the marking of gold in England since 1300. The date the piece of jewellery was made. 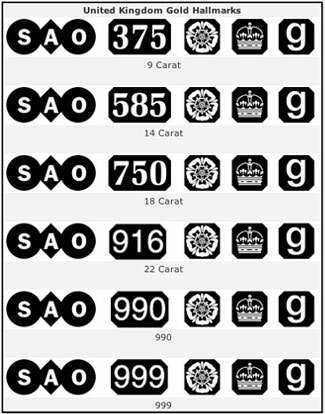 The carat of gold can be determined from the fineness marking e.g. out of a 1000 and 22ct Gold = 916 parts pure gold out of a 1000. 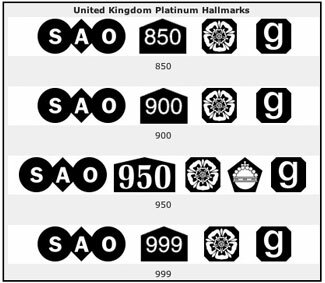 The hallmark is generally situated in a place where it will not be seen when the item is worn. For example, on a gold ring it will be on the inside of the ring or on a gold chain, it is generally located close to the clasp.